From lowly servant girl to Princess the rise of Cinderella can be enchanting. This strategy combines Cinderella with her throne, unlocking the true potential of multiple archetypes! Other monsters on the field cannot be targeted by Spell effects. Once per turn: You can discard 1 Spell Card; equip 1 Equip Spell Card from your hand, Deck, or Graveyard to this card, but return that Equip Spell Card to the hand during the End Phase. and Cursed Bamboo Sword. If you have a Cinderella on the field and a Cursed in the hand, the combo is simple: Use Cinderella to discard the Cursed in your hand to equip a new Cursed Bamboo Sword from your deck. The Cursed in your Graveyard then activates, giving you a free Golden Bamboo Sword to the hand. Then, you’re all set to activate what is effectively a Pot of Greed. In terms of sheer card advantage, this is a straight +2 because your Cinderella survives and your Cursed Bamboo goes back to the Hand in the End Phase. Then, if you happen to already have a Golden Bamboo in your hand, or draw a second copy after activating the first, that is just another bonus gain in card advantage. This also means that by running another Cursed trigger cards such as Foolish Burial with Belongings, you can snowball into more gains in card advantage starting on even the first turn of the duel. Also, don’t forget the other big trait of the Bamboo Sword archetype – giving yourself the opportunity to completely lock your opponent out of their Draw Phase… for the rest of the duel. So, we’ve determined a powerful advantage engine that offers a unique mechanic to a strategy, but now let’s discuss what we want to draw into with all of these free draws. Time to call in the heavy hitters that will pilot the strategy to victory – the Star Seraphs. Everyone knows the Stick/Chair combo, or in specific terms, the combination of Star Seraph Scepter and Star Seraph Sovereignty which generates an absurd amount of advantage while tearing through your opponent’s established field. However, this time they are also going to bring one more friend – Star Seraph Scales. This last monster is generally relegated to the ‘don’t use this’ corner of the Star Seraph archetype, because it has to be Special Summoned in order to have any effect as a monster. And even when it is Special Summoned, it doesn’t generate any advantage of its own, rather it is just another combo piece. The ‘perfect’ Seraph combo, achievable through Scales, would be: Special Summon Scales, then use its effect to Special Summon any Star Seraph then place a Scepter from your Graveyard on top of your deck, then activate Sovereignty”s effect in your hand, Special Summoning itself, then Special Summoning the Scepter you draw, which then adds another Sovereignty to your hand. The other benefit to running Scales is the effect it grants to Xyz monsters, letting you draw the first time a monster is Special Summoned from the hand each turn. So between the normal Stick/Chair combo and the ‘perfect’ Seraph combo, you should never have any problem getting Level 4 monsters to the field. Therefore, the win condition of this deck is clearly going to be R4NK Xyz Summons with 3 materials. So what’s next in our deckbuilding adventure? Since we are building a strategy from the ground up, let’s take a moment to cover what we already have in place. 1) We have an advantage engine in the form of Cinderella and Bamboo Swords. 2) We have a win condition and power plays from the Star Seraphs. 3) With the help of Stellarknight Delteros and Star Seraph Scepter we have ways to break through established fields. So the next piece of this strategy we should aim to patch in should be a way to play the grind game. Sure, the goal of any deck is to win as quickly and efficiently as possible, but you do not want to be running a strategy that burns out of resources at an absurd rate with nothing to do if your initial plays are thwarted. It just happens that there is a lovely card that fills this niche completely that ties together tons of Spell Card usage, LIGHT Fairy monsters, and the ability to Special Summon your Seraphs… That’s right, we’re bringing in Ritual Sanctuary. Hailed as one of the most impactful cards ever to be released for Ritual monsters, strategies, and archetypes, Ritual Sanctuary offers two extremely powerful effects. The first lets you discard any Spell Card in order to add a Ritual Spell or a LIGHT Ritual Monster to your hand. The second effect is more relevant to the current progression of our build, and that is you can return a number of Spell Cards from your Graveyard to the deck to Special Summon a LIGHT Fairy from your Graveyard with a level equal to the number of cards returned. Isn’t it just perfect that we are going to be turboing through Bamboo Sword Spell Cards, Foolish Burial with Belongings, Terraforming and more, AND have the LIGHT Fairy Star Seraphs in the same deck? It’s the perfect card to tie the advantage engine to the win condition, without sacrificing consistency at all. In fact, Sanctuary even boosts consistency further, because it allows us to first thin the deck with Bamboo Sword combos, then place back only the Bamboo Swords we want to draw, like Golden Bamboo Sword. Trust me, activating what’s effectively a Pot of Greed 6 times in a single turn feels great, and your opponent will have absolutely no chance of keeping up with that sheer amount of card advantage gain. But if such an extreme scenario occurs, what do we do with all those resources? Why don’t we consider Ritual Summoning, if we are going to be running Ritual Sanctuary after all? So what is a powerful LIGHT Ritual monster that can be summoned with Level 4 monster(s) that offers powerful enough effects? Now folks, we’re going to tie this Ritual component back into a card I introduced on a whim earlier on: Star Seraph Scales. You see, whenever you Ritual Summon, you are Special Summoning from the hand. Thus, if you do a Seraph combo with Scales, make a 3 material R4NK Xyz such as Delteros or Number 104: Masquerade, then perform a Ritual Summon, you immediately offset that initial minus in card advantage when performing the Summon! To put it simply: the first combo draws into the second and third combos, which then generate more advantage when the second and third combos are performed together, but the first combo also provides fodder to successfully complete the second combos as well. I guess I lied, that wasn’t quite simple to follow, was it? Let’s take a few seconds to recap again. We now have: 1) Advantage Engine. 2) Win Condition. 3) Options to break through established fields. 4) Longevity. 5) Combo potential. 6) Boss monsters. The only thing that seems to be missing is a touch more consistency, and that is entirely up to the tech cards you choose to run. I’m going to change it up a bit this article and present my sample decklist now, then we can go on to discuss how the cards work in tandem, the additional tech options, then ending with a bit of math. the list really just goes on. With Summoner Monk and turbo draw power, the deck never seems to take too long to get to combos, and even if you don’t, most hands can cobble together a couple of big plays to hold on until you do. There is also one additional tool at your disposal – the fact that you are running a completely unexpected deck. Most duelists don’t understand the potential of Bamboo Sword, and nowadays, most duelists aren’t prepared for Ritual Sanctuary‘s Special Summon of Scepter if they negate its original summon or effect with Solemn Strike or Solemn Warning. Not to mention Vrash coming out of nowhere or an opponent not realizing that your Ritual Spell has a great secondary effect to protect any LIGHT monster. When using a rogue deck, you have the element of surprise, so my advice is to never undervalue that! As you could tell from the deckbuilding process that this article walked us through, this is by no means a set decklist or firm strategy. You truly have a ton of space to play with, and so I’ve listed a couple of neat options for you to consider. Honest – When running Ritual Sanctuary, this is always a great card to consider running alongside. This card generates OTKs like the old days with the help of Vrash, and who doesn’t love the fact that you can bring it back to your field, and then to your hand every single turn? Not bad. Monster Gate – A bit of a strange tech, but let me explain – this card is awesome to turn that lone Cinderella that you start with into a potential Seraph play. This can accelerate your gameplan by a turn, happen to hit your Cursed Bamboo in the deck, and perhaps even get enough Spells to the Graveyard for a revival by Sanctuary. Sure, it’s luck-based, but it does have a ton of potential. Book of Moon – This card may not be as strong as in its heyday, but it can definitely throw an unexpected wrench into the plans of certain Xyz/Synchro/Combo heavy decks. Also doesn’t hurt to be able to continuously bring it back to the field. Photon Thrasher – This is a good combo card to open with, because it lets you go into Bujintei Tsukuyomi with pretty much any other monster you open the duel with, in the case that your opening hand is less than ideal. Constellar Belt – Yeah, this card seems pretty lackluster, and in some ways it is. But you are running a deck with such high card advantage potential that you can afford to run a couple of cards that only offer utility effects and not favorable card advantage exchanges. With Belt, your Vrash’s effect gets over Crystal Wing Synchro Dragon, your Star Seraph Scepter cannot be negated by Solemn Strike, and same with your Cinderella. One Day of Peace – This card lets you stall while continuing to dig through your deck for draws. The big downside is that it is a +1 in favor of your opponent, so the LP protection does not come cheap. Pot of Duality – Another Spell card that helps to ensure consistency in the early game before you are required to make the big plays to stay neck and neck in the duel with your opponent. Later on, it just becomes glorified discard fodder for Monk, Sanctuary, or Cinderella, so it doesn’t hurt too much. Wonder Wand – If you want to run this card, feel free. Effectively, this makes Cinderella a 2-for-2 trade, since it can just equip Wonder straight from the Deck or Graveyard. Preparation of Rites – If you are using Nasateiya as your Ritual Monster, you definitely should run this to search it and add back a Machine Angel Ritual from your Graveyard. Yet another card to increase consistency and gain free card advantage. Brilliant Fusion & Gem-Knight Garnet – As a deck that heavily relies upon the Normal Summon early on, the Brilliant engine can be great for Turn 1. However, it does not last long because of how much draw power this build has. Once you draw into your Garnet(s), Brilliant becomes just another card you only want to discard. But this does allow for precise dumping of the LIGHT monster you want in the Graveyard, such as Scales, so keep that in mind. So let’s take a second to crunch the numbers. Straight up, you have a 8.97% chance of opening both Cinderella and Cursed Bamboo if you go first. The other important value is that you have a 26.25% chance of opening an Equip Bamboo Sword and a Golden Bamboo, due to the searchability of the Bamboo cards and the existence of Foolish Burial with Belongings. Again, these percentages are before factoring in drawing cards with Upstart Goblin, summoning Cinderella with Summoner Monk, drawing off of a Seraph combo, etc. Speaking of Seraph, the odds of opening Sovereignty in hand and a Scepter summoned to the field (drawn cold or via Monk) is 13.94%. If you are going second, it only makes sense that these percentages will be higher, and these higher percentages are actually compounded since you are running so many avenues of draw power and deck thinning. These probability calculations get rather complicated for this deck, because you don’t have too many straight searchers for the cards you need; rather, you are relying upon drawing into what you need with copious amounts of draw power. Moral of the story boils down to a very simple fact: This deck has a great chance of drawing what you need, and even if you brick, the longer you survive the better your chances of bringing victory out of nowhere. As always, the list above is just my personal build. Also, it is possible to build a deck from the ground up, starting with one crazy combo. 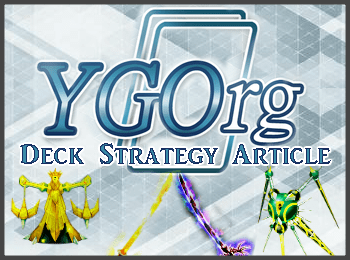 In fact, this is precisely how the Zoodiac deck that has come to dominate the OCG meta came to be – duelists saw the potential of the Rat, then built strategies and combined archetypes in order to fully abuse that potential. So why not do the same with a glass slipper and a maid turned princess! Until the next time, keep innovating and building creative decks! Most of all, just enjoy dueling for the fun that it can be! Final note: I am about to resume my final semester at University; therefore, I may not be as available to write articles as I have been in recent weeks. As a result, I have done my best to get ahead of the next article I am writing, which is Evolution in Design Part 2.5 on the SPYRAL and Subterror. (Sadly, Version2 was delayed due to personal reasons, so I figured I’d roll both into one article once the new cards are revealed in the coming week or two). So please don’t worry if you do not see other articles from me in the near future, no I didn’t die, but I truly enjoy creating content for you guys and for the site, so I will never be too far away.